Employee engagement is a hot topic in the business world as employers find that it takes more than just a paycheck to keep a workforce happy and loyal. The need to include or improve employee engagement programs is so critical that some businesses are opting to use the software applications that monitor the social activities of employees regarding their brand. The potential problem with such a method is that it can be difficult to find employees who are willing to participate in such an endeavor. A more inclusive, evergreen approach to improving an employee engagement program is to recruit the assistance of business consulting firms. Business consulting firms can show you the do’s and don’ts of employee engagement so your workers develop a sense of trust in their superiors and become committed to the organization’s vision and goals. Your employees are your organization’s greatest assets. Their collective ideas and enthusiasm for what they do can work for or against you. While some people are naturally self-motivated to always do their best, most need the guidance of a manager who asks for feedback, welcomes ideas and creates a motivating environment in order to create a clear sense of purpose. 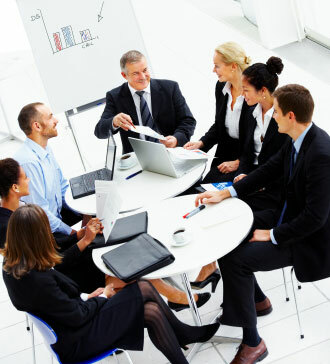 Business consulting firms can help get you on the right track. If you’re looking for a business consulting firm, please call 610-380-8735 or complete our online contact form.